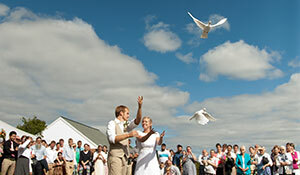 The grand finale to your ceremony, the doves spreading their wings to the skies will inspire and awe everyone present. 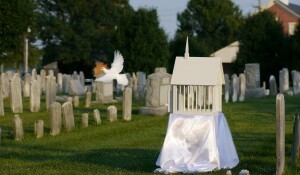 Add beauty and splendor to your event with a white dove release. 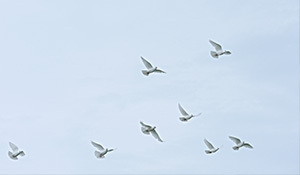 White doves are symbolic of peace, love, unity and hope. A white dove release provides a fitting tribute to your loved one. It is recognized by everyone as a strong, peaceful, and respectful token of final farewell.